The Royal Wedding is now fast approaching and people may be thinking about ways they can celebrate over the bank holiday weekend – Friday 29th April – Monday 1st May. 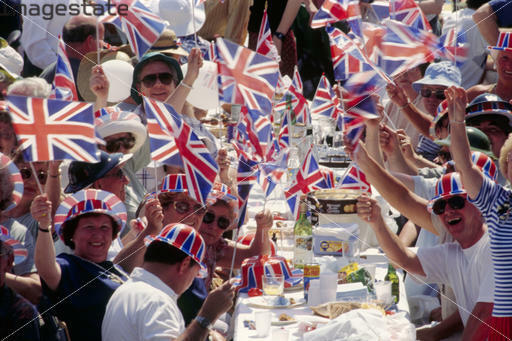 Holding a street party to celebrate royal occasions is an extremely British tradition, and as there has not been a royal wedding since 1986 (apart from the second marriage of Prince Charles) it’s the perfect opportunity to gather up all your neighbours and throw a party. 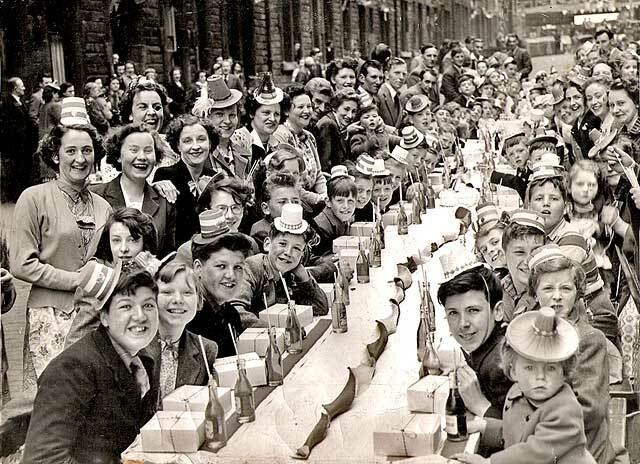 Street parties are a good way to commemorate momentous events and socialise with people that, in your busy everyday life, you may not normally get a chance to spend time with. It’s always nice to get to know your neighbours a bit better. It’s a good idea to start talking to your neighbours about the party sooner rather than later, as the Royal Wedding is only just over a month away now. If you’re trying to get the ball rolling alone, it may be useful to chat to a few neighbours that you think might be interested and gauge their reaction to the idea. If it’s a positive one and you decide to go ahead, you will first need to decide on a date that the majority can do and stick to it. Sunday is often an ideal day as fewer people work and people may well be returning from breaks away. In the case of the Royal Wedding, you’ve got four days to choose from, so hopefully you can find one that suits everyone. It’s quite nice to send out old fashioned paper invites and as it’s a street party, it’s pretty easy to just pop one through everyone’s door. Esc top tip: Make sure you don’t miss anyone when posting invites and if people are a bit shy, it may be an idea to invite them face to face as well, in order to encourage them to join in. The important thing about throwing a party with neighbours is to keep it simple and try to share jobs and activities out evenly. It can be useful to hold a couple of meetings to decide who’s doing what and to make sure everyone is happy. You can also hold a follow up meeting, to see how it went and to look through all your photos of the event together. Esc top tip: It may be an idea to make a group on Facebook to discuss plans. This is also a good way to invite everyone and get their input, which will help to make them feel more involved. 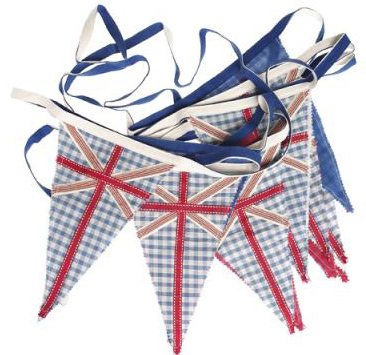 • Bunting is almost compulsory at a street party! How about making your own?! Esc top tip: It doesn’t need to be expensive! – get everyone to bring their spare garden furniture and games and get the children involved in making decorations. Esc top tip: Ask everyone beforehand if they will make or bring certain things and to perhaps bring their own drinks. This will involve everyone and children can do some baking too. • Ask if someone can provide a range of music and a system to play it on. • Is anyone in the street in a band? Perhaps they could play. Esc top tip: Don’t have the music too loud or playing too late, so as not to disturb residents that aren’t involved. • Weather – well we all know what English weather is like, so it may be an idea to have a back-up plan in case it rains. You could use gazebos for this or just be prepared to cover everything up, shelter in someone’s house and wait for the rain to pass. • Insurance – it’s always a good idea to speak to your local council about insurance. Public liability insurance may be necessary but some councils will provide this free of charge for the occasion of the Royal Wedding. • Street closure – you will also need to check with your council as to whether it’s ok to close the street. Cul-de-sacs and no through roads are best for street parties if possible. • BBQs and fireworks – you will also need to check with your local council about these, as they are not usually allowed on highways. • Take lots of photos! So that’s it, the only thing left to do is RELAX AND ENJOY THE PARTY! If you want the whole thing to be a bigger, more extravagant affair or you just want a little help, you can always hire an event planner, like us!